Sending radioactive waste to my country means killing us legally. Please spare us from losing our family, our friends, our land. We are living on one earth, no matter how far you sent your sin away, it will comebacks to you eventually. No place is too far as long as it is still on earth. Even if it is not built on our land, it has to be somewhere somehow. But I doubt that my country has the ability to handle the plant, the maintenance, or the worst scenario the leakage. I just don't have faith in them. Why we human always create problems we unable to solves. 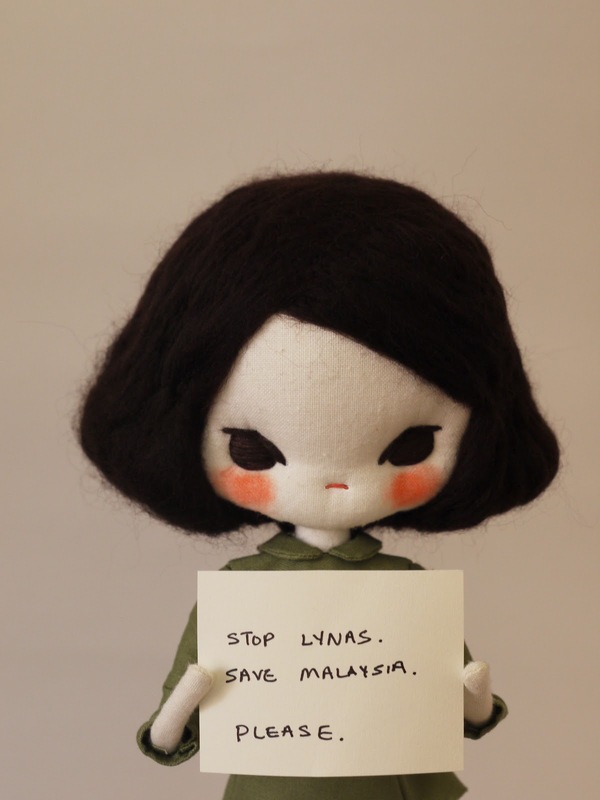 Stop Lynas, save Malaysia, save us. che tristezza, mi unisco al tuo appello e al tuo dolore. that sadness, I join me to your appeal and your pain. Support Stop Lynas, Save Malaysia! This is our country our home why the government never care about this? Seems money is the important things to them!